The interior designer and star of Netflix's hit makeover show shared his thoughts on why he always opts for LED bulbs and why all his designs start and end with lighting. 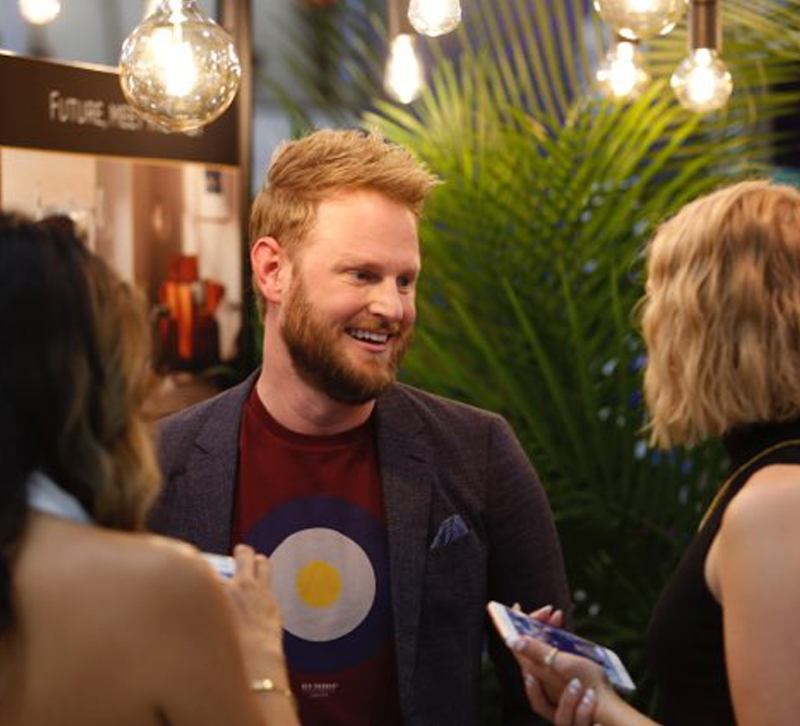 At a Lowe’s in Chicago’s Wicker Park neighborhood on a Wednesday night this spring, around 50 interior design bloggers and influencers gathered for light bites and insight on lighting design from interior designer Bobby Berk. Before his talk, guests mingled, ate hors d’oeuvres, sipped on mocktails served in light bulb-shaped glasses and updated their Instagram stories to document the intimate event put on in a roped off section of the Lowe’s lighting section, just steps from the entrance of the store. Curious shoppers regularly slowed their carts to take in the scene before continuing on their way. Berk took to the small stage setup along with representatives from Lowe’s and GE Lighting, who co-produced the event. During his talk, he shared why he only offers clients the option of LED lighting, why lighting is crucial in room design and why all designs should start and end with lighting. Here are four insights he offered and our tips for how you can put them into action. While some designers might think lighting should be the last stop in a design, Berk said he always makes it his first and last stop. “It really is the most important thing in your space to me, because you can spend all your time picking out the perfect paint colors and fabrics and then if you don't use the right bulb, your rooms don't look like you planned,” he said. Whether it’s from a ceiling light, lamp or uplighting, Berk said he always makes sure that the lighting highlights the right aspects of a room and isn’t casting any weird shadows. Put it into action: When creating your design concepts, make sure to take into account how lighting will interact with finishes on the furniture and decor in the space. Lighting designer Randall Whitehead, IALD explains more on this here. Choosing lighting that is the right level of cool or warm for the space and your client is key. Berk said he recently worked on an inviting, Mid-Century home in Las Vegas and opted for warmer lighting. But then a builder went in and installed white, cold bulbs that Berk said made the space feel like an operating room. He said this experience drove home to him how crucial color temperature of lighting is for a space. Put it into action: Different spaces in a home can warrant different color temperatures. Whitehead says when it comes to ambient lighting, "the color temperature of the fluorescents or LEDs should be close in color to those of the other light sources in the space. I personally use dimmable LEDs or fluorescents that are the color of dimmed incandescent (2200K to 2400K) so that when I dim the incandescent lights, they will all feel closer in color temperature at the lower light levels." He adds that for closets, garages and laundry rooms he prefers his lamps in the 4000K to 5000K range for color matching. While the rise of vintage bulbs first took hold in hospitality and commercial spaces, Berk said they’re also gaining popularity in the home. LED technology has allowed for vintage style bulbs to last longer while still offering that industrial aesthetic. He said he has some in a dimmable lamp next to his bed for a warm, relaxing effect. He’s also used them as sconce light bulbs in bathrooms to create a warmer look. Put it into action: Don't be afraid to think outside the box and use bulbs themselves to bring some style to a space. Companies like Relamp are expanding the options available to designers and homeowners. In response to a question on if people are increasingly adopting LED technology, Berk said he usually doesn’t even give clients a choice. He said given the eco-friendly aspect and longevity of LED bulbs, they’re always his first choice. “It's just an automatic thing now. It used to be that LEDs were so much more of a financial commitment that it was something that I put in front of people for a ‘yes’ or ‘no’ but now it's not that big of a financial difference,” Berk said. Put it into action: Take a page out of Berk's book and act as an educator for your design clients. Read up on the state and future of LED technology and be ready to explain if a client asks, "but why LED?" The more you learn, the more you can build your confidence and act as a trusted expert. Start with this handy guide to common LED questions. Before ending his talk and moving on to chatting and taking photos with guests, Berk offered his final thoughts.